Since having Benjamin, I have been a little bit obsessed with Halloween. All the holidays, really, but Halloween has become more and more fun as the years have progressed. Isn't that the way it is with kids? If you've been following me for a while, you know that every year [so far] I have made Benjamin's main Halloween costume. We go to several events, so sometimes he wears other costumes, but on Halloween, it's the one I make. I especially loved the challenge of creating a costume that was fun and unique, the first two years when the decision making was mine. *wink* Since then, I've loved scouring Pinterest and searching Google for ideas to create the costume he has in mind. It's become a fun tradition/collaboration that I know I'll always look back on with fondness. Here's a look at what's he's been in the past, with links to the original blog posts for a better look. In hindsight, this costume would have been better saved until Benjamin was walking better. We ended up taking the box portion off for most of trick-or-treating, so he could sit in the wagon, but he still looked precious. 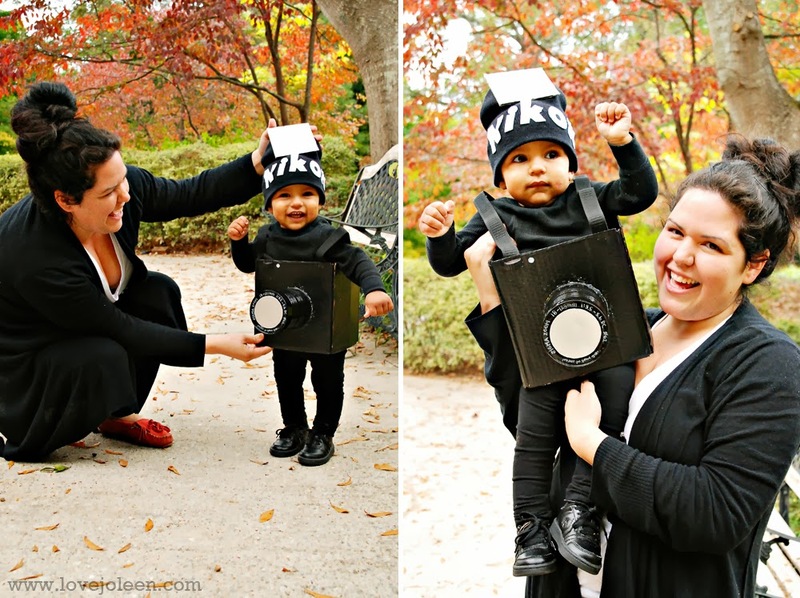 The costume was made from a cardboard box, metal can, and elastic straps. See more: Benjamin as a "Benjamin"
I made this costume almost entirely from felt. All the pieces were hand sewn on, so you don't even want to know how many hours this costume took me to make. Ha! I printed Benjamin Franklin and encased him in clear vinyl. 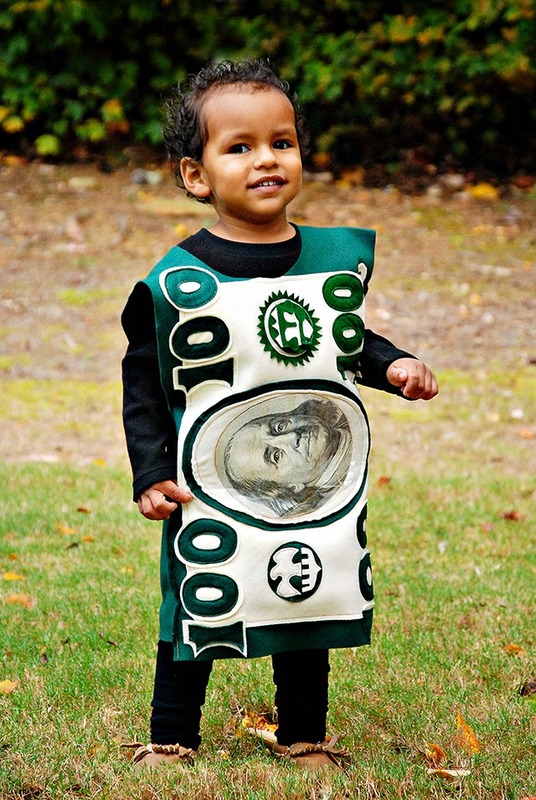 If your son's name is Benjamin, then you have to do this costume at least once! 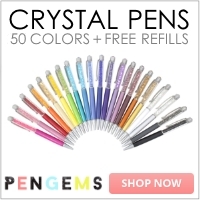 It's just so fun and funny! This has been my favorite costume to date! Here is an example of a costume that was not DIY. He wanted to be a Construction worker AND Diver this year, so we did both. 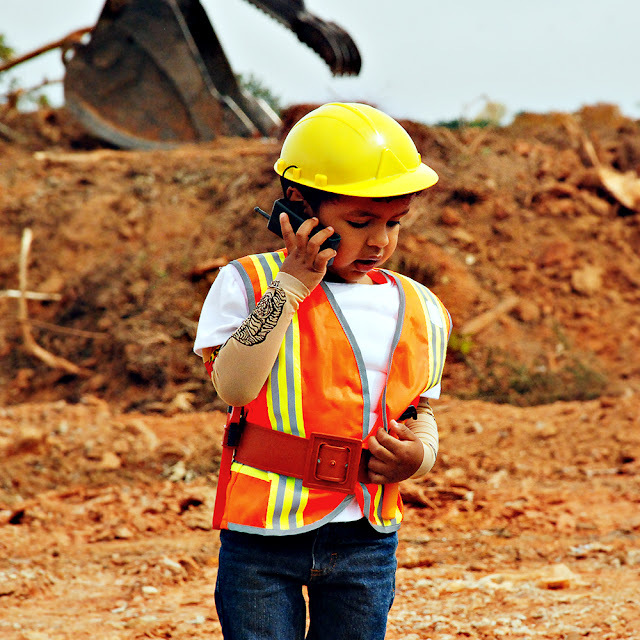 I purchased an inexpensive costume at the store and took him to a construction site for fun photos with his daddy. 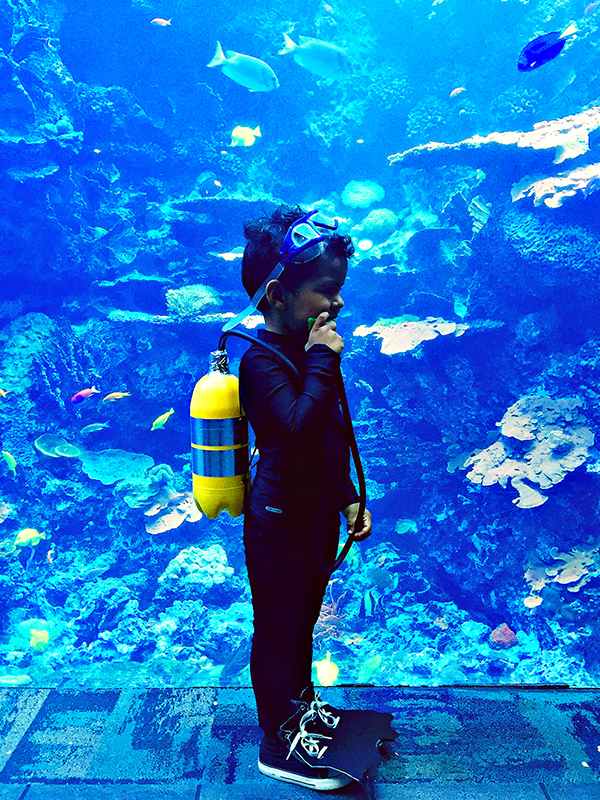 On Halloween, Benjamin was a Diver. We had season passes to Georgia Aquarium, so we went to their Georgia-A-Scary-Um Halloween event. Benjamin wore a fitted long sleeve shirt and leggings, with black Chucks. I made simple covers that I laced right onto his shoes, using black felt that I hot glued to cardboard. His oxygen pack was made using a 2 Liter and exercise tube. I attached a teething toy (similar to a pacifier) to the end that he could put in his mouth. Last year Benjamin was an Astronaut. I purchased this orange costume from TJ Maxx and made all of the accessories. His boots were old (and nearly too small) Disney house slippers. I cut slits down the back to make them bigger and then covered them with white Duct tape. I made his helmet from papier mache and consider it my greatest DIY fete. 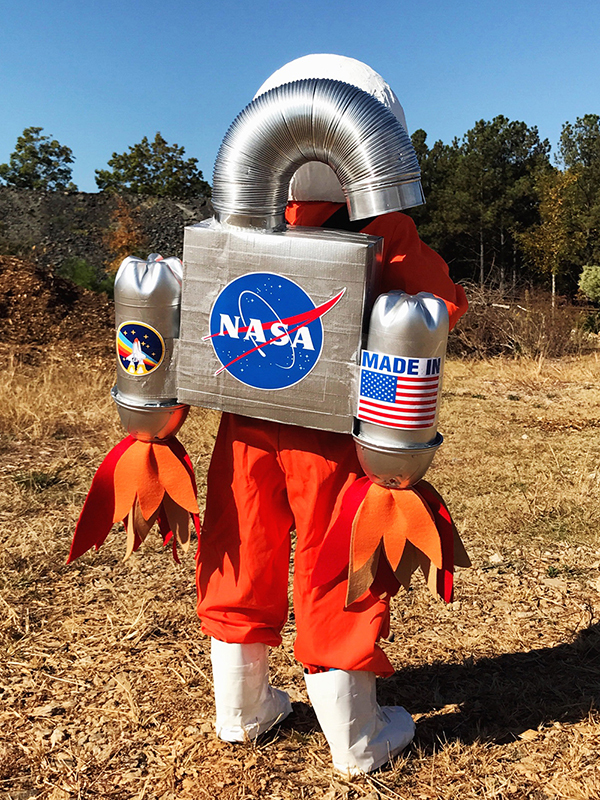 His astro pack is what makes the costume though! It's made using 4 cereal boxes, Duct tape, silver spray paint, two 2 Liters, 2 tomato containers, a dryer transition duct, felt, and color printed logos. 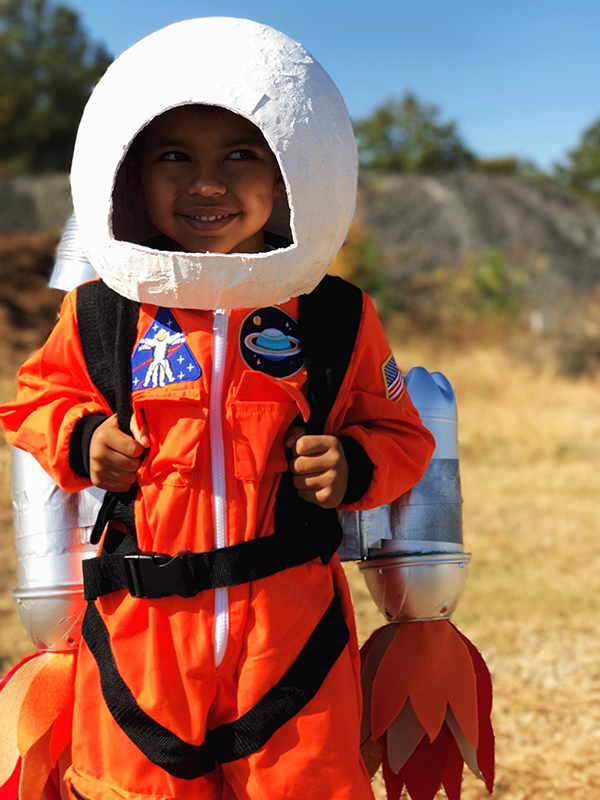 For more Halloween costume ideas for boys and girls, as well as DIY decorations and party inspiration, check out my Halloween board on Pinterest.